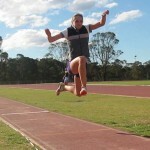 The first two steps from starting blocks requires great strength and the right technique. Want to improve your Sprinting? Do these three things.